The story of the success of the Australia-based Christian band, Hillsong United (also commonly referred to as United). The Australian-based band originated as part of the Hillsong Church empire and have gained acclaim over the years. 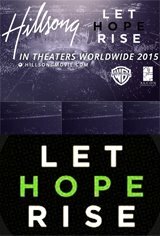 The film follows the team as they perform at various Hillsong Church locations and compose new songs for other worship teams under the Hillsong umbrella.